A robust Chromonica „Made In Germany" with a great value for money! 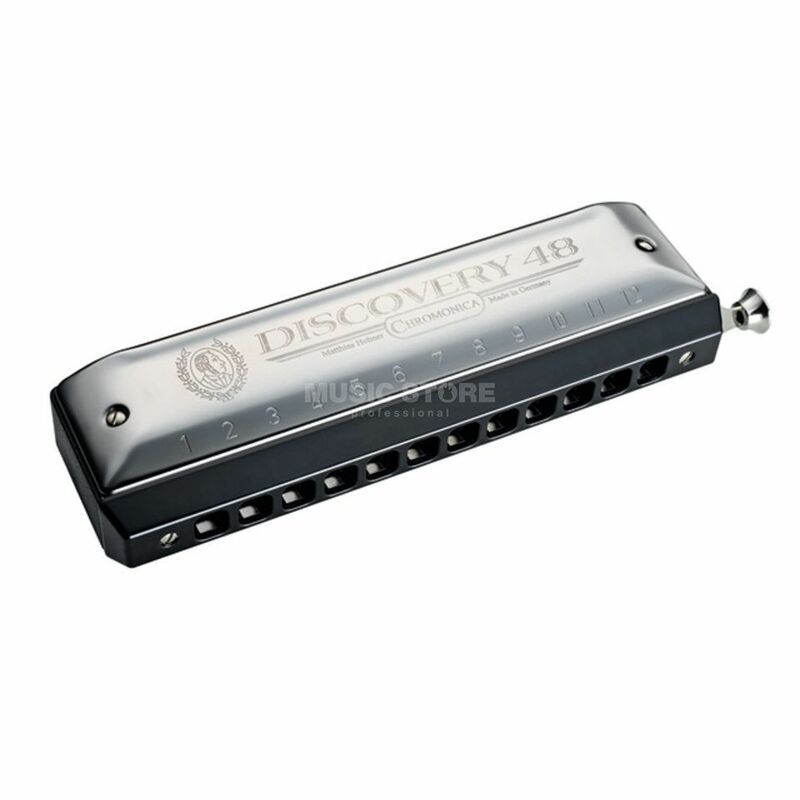 The Hohner Discovery 48 C chromatic is the perfect Chromonica for beginners and hobbyists. Because of the screw-fixed construction it is adaptable to every demand of the player. For example you can switch it to a left-handed harmonica. The comb out of ABS forms a robust instrument for every life situation. Features: Tuning: C Comb out of ABS Compatible with Chromonica 48 and 270 Deluxe Easy to switch to left-handed Incl. robust Box Made in Germany!